Concerns regarding news-article titled “Robot shows that it’s not just bending and twisting that causes spinal injuries” that appeared on the ABC website on the 2nd of October, 2018. Kevin Wernli – BSc. Physiotherapy (1st Class Honours), PhD Candidate. The original article can be found here. Below are my concerns. between 30% and 80% of people without any symptoms have disc herniation’s on MRI (Brinjikji et al., 2015; Kim, Lee, & Lim, 2013). Imaging findings such as herniation’s are poor predictors of future pain and disability (Jarvik et al., 2005). The language and metaphors (squeezing a jam donut) used in this news article are inaccurate, misleading and oversimplifications of what is a complex system. This fuels the publics already negative and mistaken perception of the human spine being fragile, vulnerable and easily injured. The living human spine is an inherently strong, robust and importantly adaptable structure. The study even shows that half of the time, the bones (arguably the strongest structure in the body) failed before the disc did! Meaning that many times the discs were stronger than the surrounding bones – a finding which surprised even the researchers and one that was swiftly overlooked as it did not fit the fear-mongering, nocebic narrative of the news article. 2. Does this apply to living humans? There are extensive problems with the generalisability of the results based on the research methodology. The research used deceased human spines with a mean age of 76 years old in a machine (without many of the supporting ligaments, muscles and redundancies that the living human body has). Therefore, substantial caution is needed when translating the findings to the real world. Just like living muscles get stronger with gradual load, there is evidence that living discs are stronger in people that load and bend their back (Belavy et al., 2018; Belavý et al., 2017). 3. A small part of the bigger low back pain picture. Structural abnormalities are a very poor measure of an individual’s pain and disability (Brinjikji et al., 2015; Jarvik et al., 2005) and there are many other factors (such as back beliefs, loading history, stress, sleep, physical activity levels, socio-economic status and mental health conditions) that are arguably more important as they have a significantly stronger relationship with pain and disability (Dankaerts et al., 2009; Darlow et al., 2012; Gabbett, 2016; Gatchel, Peng, Peters, Fuchs, & Turk, 2007; Heffner, France, Trost, Mei Ng, & Pigeon, 2011; Lusa, Miranda, Luukkonen, & Punakallio, 2015; Rabey, Smith, Beales, Slater, & O’Sullivan, 2016). In summary, there are many people trying to change the narrative around low back pain (the recent Lancet Low Back Series is attest to this), and I find articles like this frustrating as they can undo much of this work and have the potential to cause harmful consequences for those battling with low back pain. Thanks to Peter O’Sullivan, JP Caneiro and Jay-Shian Tan for reviewing early drafts of this. 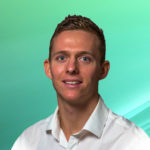 Kevin is a physiotherapist currently undertaking a PhD at Curtin University in Perth, Western Australia. His research investigates the relationship between movement, posture and low back pain using wearable sensors. He works under the guidance of Associate Professor Peter Kent, Professors Peter O’Sullivan and Anne Smith, and Dr Amity Campbell. He consults clinically out of Body Logic Physiotherapy in Shenton Park. Gabbett, T. J. (2016). The training-injury prevention paradox: should athletes be training smarter &lt;em&gt;and&lt;/em&gt; harder? British Journal of Sports Medicine. Heffner, K. L., France, C. R., Trost, Z., Mei Ng, H., & Pigeon, W. R. (2011). Chronic Low Back Pain, Sleep Disturbance, and Interleukin-6. The Clinical journal of pain, 27(1), 35-41. Jarvik, J. G., Hollingworth, W., Heagerty, P. J., Haynor, D. R., Boyko, E. J., & Deyo, R. A. (2005). Three-year incidence of low back pain in an initially asymptomatic cohort: clinical and imaging risk factors. Spine, 30(13), 1541-1548.